TL;DR: An emergent RP plot, focussed on individuals stumbling upon a long lost set of powerful gems possessing the power to persuade and influence others...at a great (yet unknown) cost. Although this will primarily be a EU Server endeavor lead by me, I am willing to to 'license' the concept to NA server people if they are interested in starting it up there. See contact details below for how to contact me! You decide to visit the local market place and while passing the stalls filled with bread, fruit and other produce, you also stumble upon the stall of a local pawnbroker. His wares are exquisitely stacked but your eye falls upon a shiny sapphire, lodged in a worn and old piece of jewellery. Several minutes later you walk home, studying the gem. Curses. You don’t like jewellery and you don’t even have a lover, but still you bought it. Those Pawnbrokers and their silver tongues. Urgh! As you arrive home you sit down to inspect the gem on the ring, holding it close to a pair of candles. You make out a nearly illegible description on the ring in a tongue you can’t understand. Perhaps you’ll need to take it to the local scribe to see if she can decipher it? Oh well…at least it’s a nice ring to put on your ring-finger and as such, you do. You proceed to make dinner for yourself but end up cutting at the top of your ring-finger while preparing some carrots. Owh! You look down and notice that a tiny bit of drop ended up on the sapphire. You bandage your finger..but wait..what is this? As you look at the ring again, it has suddenly turned from a sapphire to a blood red ruby. What?! ...What magic is this? You feel rather scared now..what did you get yourself into? You sigh and look in a mirror after washing your face. You look powerful and strong, confident. And the ruby does have a nice look to it on your finger. Perhaps it’s time to make your mark on the world and leave this pitiful existence behind. In short: An emerging RP plot which people can use to further their character and guild development. Most of the ‘changes’ that happen in the ESO/TES lore within our character day-to-day lives happen through natural progression of new DLC and Chapter’s coming out. The idea here is that this ‘plot’ will have a similar function but limited of course to the people who choose to take part. Although the effects on the world with commoners wearing all the gems will be limited, it can rock guilds, noble houses and their areas to the core. Please note that lore characters will obviously not be wearing a gem in order to not break lore. We’re going to assume they are too busy to look into these things…or too wary. It’s a plot in which you can decide to join with your character without being attached to some sort of OOC guild or chat channel. During the plot, participants will receive instructions from me and I will always be available as the plot’s ‘curator’ of sorts. I will also determine the general course of the plot and will respond to it as a bit of a ‘Dungeon master’ or DM. 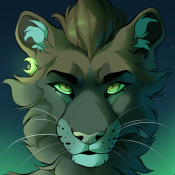 My own character, Hlaru, will also participate in the plot and serves as the first character who came into contact with one of these gems in recent memory. The participants of the plot will determine the course, I will merely explain what the actions of the participants will result in AND I will be available for any questions the plot participants have. Apart from perhaps a ‘shared dream’ (see below for details) once a two weeks or month, this plot is a mostly self-service endeavour and aimed at characters and players who want to take a concept and dip themselves in a seriously tricky situation with their characters. As such: No guilds or chat channels will need to be joined. It’s a strictly ‘no-strings-attached’ endeavour. Of course, characters and players are perfectly fine to team up once they discover each other and wish to try and make sense of the situation. As a DM I will respond to any research these characters undertake by answering questions. During the First Era, Ninendava was a city inhabited by some of the most hedonistic Ayleid that inhabited the Ayleid Empire. It is a physical place that truly exists within both TES IV Oblivion and ESO. 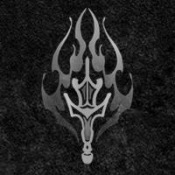 Further information on Ninendava can be found on UESP. The endeavour is called after Ninendava as my character, Hlaru Arvethil, the first person to come into possession of such a gem in recent memory, discovered that the engravings in her circlet in particular had symbols related to the old city of Ninendava. She and several other mages travelled to the old Ayleid ruins between 2E 582 and 2E 584 and recovered dozens of several matching gems in its depths. Sadly, the gems were lost to them by a Covenant Army patrol who took the gems from them during an incident and sold them to various pawnbrokers around the Iliac Bay. As such, the long ‘hidden’ gems were unleashed upon Tamriel once more, ready to be bought by unsuspecting buyers who were yet unaware of their powers. When finding a gem, it is either lodged into a piece of jewellery and has the colour of a sapphire. On closer inspection however, especially a Mage, one would discover that it is actually a very small type of Soul Gem. Oddly enough, the jewellery the gems are attached to are all -completely- different. One might be Ayleid, another might be from the late first Era, and others might be fairly recent. However, all jewellery with gems come with have an engraving on them that would detail a ‘blood’ bond between the bearer and the gem in either Ayleid, Cyrodiilic, Daedric or any other type of language used within Nirn. When following the instructions and placing blood on the gem, it would turn blood red into a dark red ruby. Immediately following this ‘ritual’, when the person who placed blood on the gem wears the piece of jewellery, he or she would notice that others surrounding them are more inclined to follow their wishes or orders. Think ‘Voice of the Emperor’ but dialled up to 11. After the ritual, the Gem is -permanently-* bound to your character’s soul and the bond cannot be removed until they die! The jewellery can be removed but your character would always have an ‘addiction’ to wear it with them often. *In the current state of the plot. Increased fondness of the bearer of the gem. Increased likelihood to follow the orders of a bearer. Magical Resistance (-100 to 0): A character with any type of magical resistance is prone to be immune to the effects of the gem. Depending on the trained ability of the character to block magic, he or she can completely annul the effect or block it partly. Disposition (-50 to +50): A friend is more likely to follow than a complete stranger. A hobo to a common stranger: 100-0-50-0 = 50 – A minor effect. If a question is asked politely to the stranger, the stranger would be inclined to do this with proper reasoning. A commoner to a commoner lover: 100-0-0+50 = 150 – A massive effect. A score above 150 means that the other becomes completely enthralled and will do everything the other says. A noble to a random subject who doesn’t think that great of him/her: 100-0+25-25 = 100 – A normal score. The random subject would feel inspired by the noble and will be generally inclined to do most normal requests. This depends on the phase of the plot in which we are. The type of effects and the strength of them will increase overtime as the number of bearers increase. Obviously, I won’t be spoiling the effects which will come in later stages! Phase 1: The bearer would feel slightly more ‘powerful’ and ‘eloquent’ in speech and their behaviour towards others. The sense that you are destined to do great things would swell within you. Depending on the bearer’s humbleness and goal in life, they would either increase their ‘do-goody’ activities or spin up their ‘evilness’. The bearer would also occasionally have strange dreams with other bearers. A shared ‘dream’ that would seem like a dream but feels ‘real’ and takes place in the ruins of an abandoned old castle. It seems to have been destroyed, withered, rebuild and destroyed again over countless times. Yes. The bearer would want to be close to the gem at all times though. You obviously want to keep that feeling over power and over time it becomes an addiction. Characters with a high amount of willpower might be able to resist the lure, for now. NO! I must stress that if you decide to take part in this plot, your character will gain strong persuasion powers but will be bound -PERMANENTLY*- to the gem, until they die that is. With great power comes a great price…what price? You’ll see eventually. *There might be a certain point in the plot where we are able to find a way to remove the bond, at a great price. Yes. It is the gem that causes the connection. The ring or circlet it is currently attached to is just an ornament build around it. Speaking of the ornaments: They come from different time periods but none are older than the period of the Ayleid. Yes, but only if you haven’t bound your character with it yet. Being empty, the gem will shatter into a thousand pieces beyond repair. It’s magic will be lost forever. If you try to destroy the gem while it is bound to your character, you will experience an intense pain beyond your wildest nightmares. It can’t be destroyed in this state. No. Both IC and OOC you will not know who else takes part in this endeavour! Only I as the DM will know who has a gem. My character, Hlaru, will also not know who has a gem. That is..until you have a shared dream! A shared dream takes place randomly between two or more gem bearers once a few weeks. It is during a dream that you and your character will discover who else has a gem with them. Please note that not all gem bearers need to be present for a shared dream, a sub-selection is chosen at random. A shared dream will need to be organised by me, the DM. In essence, I fulfil the role of matchmaker here where I will arrange a time and meeting for you and a randomly selected other gem bearer (Hlaru will also be part of the selection at times). Once you have met another player and character in a shared dream, you are free to collaborate, research and RP in the ‘real Tamriel world’ without my intervention as a DM! As the amount of gem bearers who have had a shared dream increases, we might organise a little Discord channel so things don’t become too chaotic. However, this will be purely optional. There are numerous gems spread across Tamriel. A particularly large collection was recently acquired by troops of the Daggerfall Covenant and have been spread across jewellery sellers across the Iliac Bay. However, a fewer number might randomly pop-up in other shops such as pawnbrokers across Tamriel. Depending on the success of the plot I might have to limit the amount of gems that exist. Currently I'm leaving this in the dark. Do know that they are supposed to be super rare, so more than a few dozen won't exist. I’ll admit this is on the very ‘edge’ of what is possible while staying within the confines of the lore. While Ninendava is ‘real’ and the Ayleids there dabbled in pretty wicked stuff, the gems are of course something I made up in its entirety. However, artifacts such as these are not uncommon and if you read up on the Ayleid you’ll find that something like this is very much in the region of plausibility. As such, it’s more like ‘filling in the blanks’ within the lore. Please also note that while the gems in appearance are quite similar to the Amulet of Kings, they have absolutely no connection with it. I’m also trying to make sure that the gems don’t become too powerful, as represented in the ‘rules’ section. Only under specific situations does the receiving party become completely enthralled. I won’t tell you, yet. Currently I will be the main curator of this plot. But this can of course change in the future when we have a lot of people taking part. However, the ‘writing’ group will remain rather small in order to keep a sense of tension. You are of course using a magical device that has obvious benefits but unclear drawbacks. Part of the fun is having that tension. Is your character cursed or blessed with this gem? All participants will somehow end up getting a gem into their possession. How? That is up to you! !!! Important: If you decide to take part, you must notify me (@RandomITGuy ingame, Random IT Guy#6937 on Discord) as soon as your character has the gem in their possession as I’ll keep a list of characters and players which take part in the plot. You will not know which other characters and players take part in the endeavour until you have a shared dream! What you do after that is up to your character! Will you try and destroy the gem? Can you read the text? Will you bind your character to the gem? Will you research it further? It’s all up to you! Once every month I will reply to this topic to give you a general update on the situation and to inform all participants what sort of ‘feeling’ the gem would give them. Rumours regarding the gems are of course free to be posted in any rumour mill section. Nice! Always like to see public plotlines taking place in Tamriel! Since this is an EU event series, I've moved it to the PC-EU Events subforum. Several months pass by after you have bound yourself to the gem. You feel successful and accomplished, the gem has brought you many good deals and fate seems to be with you. Even though you feel attached to the gem and wearing it in a circlet, ring or ear-pearl has become a daily routine, it is as if it's not even there anymore. The last few weeks were rough however. You've received visions of a destroyed castle, overgrown by nature through the eons. It is Imperial in design but the walls have stones that come from many different cultures. You look around and attempt to make sense of it. You see multiple figures, a ginger Dunmer woman clad in Mages Guild colors, a Breton dark haired man dressed in nobleman's clothing and others, but you can't see anything else but their silhouettes. You close your eyes. Suddenly you find yourself in a throne room of sorts but barely anything in it seems intact. The windows are shattered and trees grow through the walls and ground. In the middle of the room, on an elevation, stands a simple chair with what appears to be a crown and a parchment. You walk up to it and feel drawn to the crown. You want to touch it, you want to wear it, you want to be a 'monarch'. Discarding the parchment entirely, you place your hands on the crown and attempt to lift it up. Blood splutters from your mouth. As you look down you can see the tip of a sword poking from your chest. Pain engulfs your body, falling to your knees and finally onto your back. Looking up, the culprit looms above you: The same ginger haired Dunmer from before with a now bloodied sword. She kneels down onto you and places the sword against your neck. Her eyes flare up in anger and hatred, thinking you are nothing but a measly disgusting ant ripe for squeezing under her boots. "Don't you dare defy me. The crown is MINE. ALL of you will listen to ME!" The Dunmer woman cuts your neck in one fell swoop and you expire looking into her eyes, trying to make sense of it all. A shroud behind her appears with an equally sharp sword heading towards her back: The shroud has horns and a mask that makes it impossible for you to see the identity of this person. Finally you wake up to the sound of a dog barking outside your dwelling, finding yourself again where you went to sleep. Your body feels pained and your muscles ache as if everything you just experienced was really you. And maybe..it -was- really you? Though the dreams are not happening every night, they do happen two to three nights a week making you feel grouchy and irritated in real life. Every dream is in the same location but knowing that enemies lurk, you start to fight back against adversaries that also try to take the crown. Although you might manage to 'kill' several adversaries, the Dunmer woman is always one step ahead and kills you -every bloody time- if you managed to slay all other adversaries, no matter how hard you try. However, you also find yourself killable by any of the other adversaries present as sometimes happens if you happen to be clumsy that night. You wonder how you can stop this but so far you've found nothing. It seems you'll have to endure this...for the rest of your life? - In real-life, you feel irritated with a short-fuse. Why do you have to explain yourself to everyone two times? - You feel extremely tired after such an active night, making you feel like a complete wreck. Your peers will probably notice this too. - During days where you haven't had such a dream, you appear much more alert. It seems the dreams have awakened a survival instinct deep within you. Dangerous situations are dealt with in a much more controlled manner, if you happen to be a soldier or mercenary. - Because of the awakening of your survival instinct and something more 'raw' within you, the libido within your body grows. The urge to indulge in rougher sexual activities is increased. - You become MUCH more attached to the gem. It is YOURS and no one is allowed to even touch it. - You become more prone to letting peers do things for you. You're a leader, they must follow. Why have minions when they can't even carry out a simple order? - The magic intensity of your gem remains the same, but due to your 'desire' to make others do things for you, the way you command your 'minions' becomes much more direct. NOTE: From this point onward this storyline will result in the creation of an RP guild which I’ll be organising. If you don’t wish to take part you are free to say that your character remains stuck at the end of ‘Phase 2’. Several months pass by once more. Although the vivid nightmares get much bloodier at first, they eventually subside entirely. What remains is a memory of the strange Dunmer woman and her bloodlust. As quick as the nightmares started, they have now vanished. In the weeks and months that followed, the gem remains as powerful as it has ever been. Your survival instincts, first awakened by the nightmares, now recedes into what you would have felt and been before you claimed the gem. It would seem you have survived this ordeal and the gem’s power is yours to have. Your life returns to normal and you still have the power of the gem to influence those around you. Life is...good? One night however, as you find yourself in a deep sleep, you are welcomed to a rude awakening. Hooded men smack you with an iron staff and drag you away from your home, campsite or wherever you may be staying at that time. As you try to get a good look at your abductors you catch a glimpse of what is underneath the hood: Tendrils. As soon as you see them you immediately get what feels to be an intense migraine. You pass out. - You are now Soulless. Although you might think that Molag Bal stole your soul, it was actually Hermaeus Mora who possesses your soul now and has ‘gifted’ the baggage (e.g. your body) to Molag Bal. - You have been abducted to Coldharbour. - You hear whispers at the back of your mind telling you to find shelter in the ‘Everfull Flagon’. You stumble around the wastes trying to find this strange place. - Your body will still need food, water and rest, but it’s growing weaker the longer you take to reach the village. The idea from this point onward is that the emergent plot turns into a focused storyline where several other Soulless try to survive the wastes of Coldharbour together. Note that the storyline will take place on the edges of what is possible in terms of what is ‘correct lore’ and what is not. However, in the interest of creating a compelling story that is connected to the game’s main plot, some liberties will be taken. Interested in this unique experience? Feel free to contact me on Discord! Random IT Guy#6937. A topic on this new focused storyline and RP event series (+ a guild will follow in the coming days). Zero interest unfortunately! I'll leave this topic up for now but putting it on the back-burner. Feel free to still poke me on Discord if you'd like something like this.